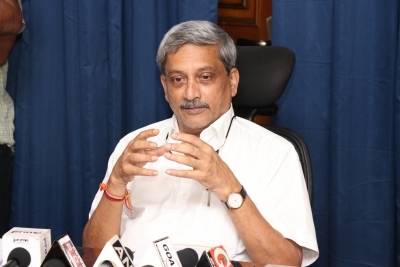 Panaji, Dec 7 (IANS) Goa Chief Secretary Dharmendra Sharma on Friday finally filed an affidavit before the Panaji Bench of the Bombay High Court, in connection with a petition filed last month seeking public disclosure of the health status of ailing Chief Minister Manohar Parrikar. The Chief Secretary's reply in response to the High Court's directive comes after the state government sought three adjournments. Though sources in the state administration said that the CS' reply was filed late on Friday in the court registrar's office, its contents will be formally revealed once the court hears the case again on December 10. He returned from New Delhi's All India Institute of Medical Sciences on October 14 and has not attended any official meeting or function outside his private residence. The Opposition, as well as the ruling coalition's allies, have been demanding the Chief Minister's resignation, contending that the administration has come to a standstill due to his absence. Petitioner Trajano D'Mello has sought directions from the court to the state chief secretary to have the former Defence Minister's health evaluated by a panel of expert doctors and release the medical report in public domain. Ever since Parrikara's health started deteriorating there has been no health bulletin, as demanded by the Opposition, forthcoming from the Chief Minister's Office, barring several informal intimations to the media, which suggested that he was suffering from "indigestion" and "mild pancreatitis".